CALL TOLL-FREE 1-866-601-5518. We represent corporations and individuals involved in Qui Tam and federal criminal cases in ALL STATES. Are You or Your Company Facing Criminal Liability for False Claims Act Or Another Federal Criminal Act? We help you to avoid the most costly mistakes seen to date in white-collar criminal defense cases. We represent federal criminal defendants only (Corporations, Government Contractors and Individuals). Assess the strengths and weaknesses in your case early A successful defense starts by knowing the facts and evidence that helps your case and the ones that don’t. The government does make mistakes. Our job as government fraud lawyers and Federal False Claims Act Quitam defense attorney is to uncover government mistakes early. In False Claims Act defense and other white collar criminal defense, how you cooperate from the investigation stage goes a long way. (When cases involve federal procurement, most criminal defense attorneys have little experience regarding federal procurement and even small business procurement rules. Let us help. Get clear direction and honest opinions from legal professionals who understand the ins and outs of the government’s case against you. 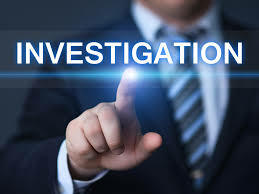 Our federal criminal defense attorney, with over three decades of experience, has a team of professionals to assist with the underlying allegations in the government’s case. When SBA fraud when small business programs are involved, we are in a unique position to defend our clients. For federal false claims cases, we can help defendants in virtually all states. When overseas clients are subject to US laws our criminal defense attorneys can help. For more information, Call us Toll-Free at 1 (866) 601-5518. Candid conversations so that you understand the positives and negatives of the case. Your information will be kept in strictest confidence when you contact us. Call TOLL-FREE 1-866-601-5518 or Fill Out the Contact Form.